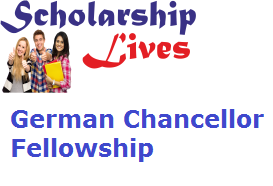 Alexander von Humboldt Foundation has activated German Chancellor Fellowship 2018 for university graduates students. As per latest official news, this fellowship scheme given to the applicants to network with other contenders from different countries and find the whole solutions to the global issues of our times. Then creating your user account, log in with login id and password to fill the application form. Then fill the application form with all essential details . Attach the upload the required documents. US candidates for the German Chancellor Fellowship Programme can also approach the office of the American Friends of the Alexander von Humboldt Foundation.